Early in her career as an esthetician, Rachel Roff realized that Charlotte, North Carolina needed a place that specialized in clinical skin care for multicultural skin tones. Years ago, very few med spas, laser centers, and dermatologists were experienced and educated in safe and effective treatments for darker skin, like chemical peels and laser treatments. Roff discovered that many clients with ethnic skin weren't being offered these treatments due to businesses not investing in products and lasers not being safe for darker skin tones. This led Roff to open Urban Skin Solutions in 2006, specializing in skin care and laser treatments for diverse skin tones. 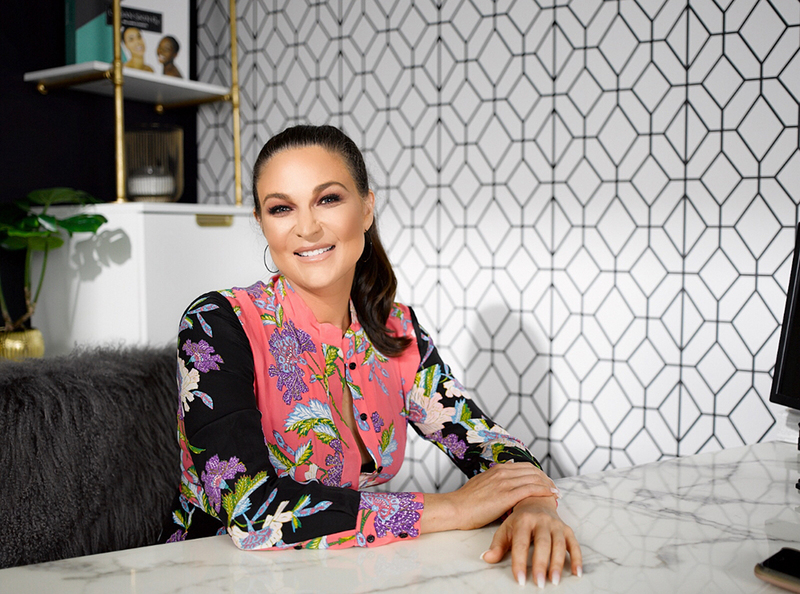 Quickly it became popular and after many requests to franchise or open more, she decided the most effective way to quickly scale her expertise was to develop a skin care line. After seven years of working with other product lines and studying ingredients, Roff formulated Urban Skin Rx—a line of clinical skin care products for diverse skin tones and women of color. She also recently created ClearTone Advanced Technology, which has a blend of six ingredients and specific levels that work together to fade dark marks, and reduce inflammation and breakouts. What inspired the creation of Urban Skin Rx? My inspiration came from my own trials and tribulations with my skin problems. I had severe acne growing up and a nevus mole on the side of my face. That’s what led me to want to dedicate my life to helping others, become an aesthetician, as well as open my med spa. It wasn’t until I was about one year into being an aesthetician that I discovered the inequality, and lack of offerings of services and products for tan and darker skin. I come from a diverse family and have a few friends with deeper skin tones skin, so this appalled me. Regardless of not having darker skin and getting some pushback from people about my idea, I knew that my life calling was to serve a neglected demographic that was dealing with the same issues I had growing up. Tell us more about your line. Do you have a hero product? 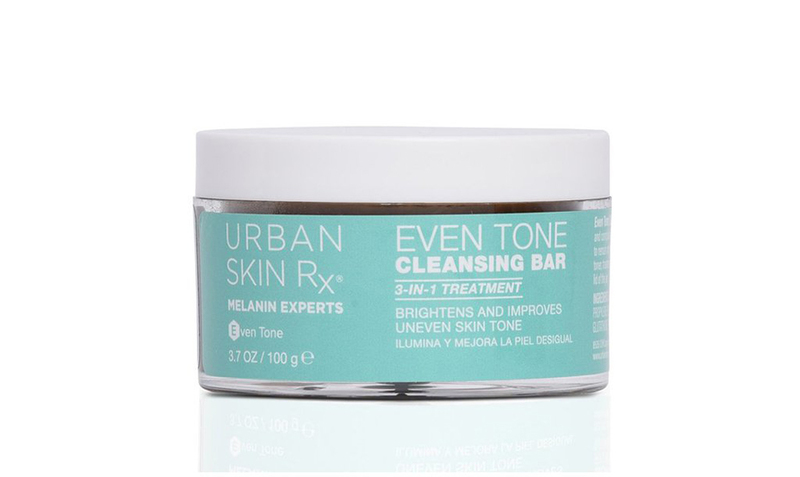 The top-selling product is our Urban Skin Rx Even Tone Cleansing Bar. I believe it’s so popular because it really works. This 3-in-1 cleansing bar is unique in its ingredients, application, and packaging—which I think consumers love. It’s a hard cleansing bar melted in a jar and it comes with really cool sponges that you use to apply the product with. We constantly hear from clients that this has worked better at evening out their skin tone more than super expensive serums and prescription topicals. We’ve also had quite a few celebrities share that it’s their favorite, which of course helps to drive attention to the product. My products are sold online and in stores at Target, Ulta Beauty and CVS. They can also be found on our website. What's your favorite product from your line? Super C Brightening Serum mixed with the Hydrafirm Serum. Low-income, single working mothers. I’m a single mother and due to my business success, I’m fortunate enough to have disposable income so that I can hire people to help with my daughter and chores around the house—and it’s still so hard. Any working woman raising a child on her own with a tight budget is literally Superwoman to me. Being very solution-oriented. If there is a will, there is a way. Being an entrepreneur is all about constant strategy to overcome every hurdle thrown your way, which is usually daily. Sleep on your back—not on your side or stomach because that causes wrinkles. Also, add a few drops of a facial oil to your foundation for a youthful glow once you get in your thirties and forties. Matte makeup just makes you look older and shows fine lines. I love my Hydra Nutrient Radiance Restore Oil from Urban Skin Rx. Drink lots of water and do cardio at least 3-4 days a week for a minimum of 25 minutes. It really helps to detox your body of impurities, gives you energy, and releases endorphins for happiness. The hardest things in life usually result in the biggest rewards and growth. If you feel uncomfortable it means you’re going to be rewarded.